I believe that we can get all the vitamins and minerals we need from the food we eat, but it is also ok to supplement. Just supplement responsibly. First of all, choose supplements that are organic or naturally made. The point of taking supplements is to nourish the body, don’t add extra toxins or chemicals along with it. Before traveling it’s a good idea to increase your vitamin intake, especially vitamins like vitamin C. This can help to give your immune system a boost. When flying, you can much more easily catch those circulating germs while on an airplane in the confined space. You also don’t know what you will be exposed to once you are in a new location. It is best to be cautious and if you don’t already, start taking vitamins a week prior. Bring some vitamins with you along the way and take them daily to keep that immune system up as it is not always easy to predict or know if you are getting what you need by the food you eat. I am a bit indifferent when it comes to how I feel about immunizations. I do not want to put a specific opinion on you but, regardless of your opinion, it is a good idea to look up any precautions about the country or region you will be going to, to see if there is something to be aware of. You can check by searching the Center for Disease Control (link below). You can also see a local travel nurse that can help you with this. Then it’s your choice if you want to get the recommended medication or shots before your journey. Despite whatever you choose it is so important to educate yourself and know what you may be exposed to along the way. It is especially important when you are traveling to remote places, in the wilderness or certain countries that have more serious disease risks. If you read some of my other blogs you may know how much I LOVE my essential oils (quick reference guide = coming soon). I always have oils handy and I think they are the perfect thing to take while traveling on long trips or even with you day to day. I am all about natural healing as well, the less pills, the better! I especially love the roll-on essential oils, as they are less likely to leak and they make it easier for application while on the go. You can use lavender, for example, to help you sleep on the plane or feel calmer if you are a nervous flyer. This can also come in handy outside of flying if you have trouble sleeping in places other than your home. Peppermint is another good one to have with you as it can help with headaches as well as nausea. Eucalyptus is great to have for your health, it can help clear sinuses and congestion. I am such a big fan of oils, that on long trips I will also bring a travel size diffuser, so I can use it next to my bed at night anywhere I go, for whatever I need. *also make sure that whatever oils you choose are 100% pure like the ones below. You never want to take in extra toxins/chemicals as it defeats the purpose of using oils. It is a good idea to pack some snacks if you can manage to make the room in one of your suitcases. Personally, I like to have some sort of snack bars with me and maybe some nuts or seeds. I am not at all a picky eater and love trying the local cuisine but sometimes it is nice to have a snack with you that you know is healthy and something you like to eat. This is not just for health but for convenience. If you end up staying somewhere that does not have a breakfast, it’s an easy way to eat and even take on the go and start exploring. Sometimes the flight food is also not so great, so its good to have something with you to help or to eat in between. It can also prevent you from snacking on things less healthy along the way. Life can get busy on the road and it’s important to not overlook meals. Eating regularly will help you have a more enjoyable experience and keep your body running smoothly. This, obviously, you know is important. I pack my lightweight Camelbak water bottle with me when I travel. See the Amazon link below. I love this one because it is lightweight but also BPA free. I love to always have this with me because you can have them feel it up on the plane as much as you want, and I tend to drink more water this way. Also, it’s a great idea to have with you daily while you are out exploring, rather than buying and using plastic water bottles everywhere you go. Yes, there are some countries that you cannot drink tap water. It is important to be aware of this. Typically, if you are in a hotel in these countries they will have water clean water dispensers or a kettle in your room so you can boil it first. I do my best to not only stay hydrated but to protect the environment in the beautiful countries I visit. I hope you will too! Taking probiotics, a week before travel and a week after travel are also a good idea. Unfortunately, you never know what bacteria you may pick up while eating food in different countries. This can help control any bad bacteria you may ingest. Be cautious when eating street food. Some of the best food I have ever had abroad has been street food, so I do risk it, but I also make sure that food is hot, cooked in front of me and doesn’t seem to have been sitting out. Use your judgement on what looks sanitary and what does not. It is important to be aware of fruits that have the peel on them in Asia and also if things are in water that is cold, as it may not be clean water. Here again, I recommend doing a quick research on the country or countries you are visiting to be aware of any food precautions. Despite if there are any precautions or not, it is a good idea to have your probiotics because even a change in the type of food you typically eat can cause slight discomfort and probiotics can help ease that. Food is one of the best ways to experience culture. I am all about balance when it comes to enjoying life and eating what you want, while staying healthy. I do think when you visit a new country or even state, you should enjoy and try the local cuisine. It is all part of the experience, but you an also make healthy choices too. Balance yourself out by not always eating processed foods, foods that are deep fried or full of bad fats. Most of my travels have been around Asia and let me tell you, if you eat the local food, you are eating much healthier than the typical American diet. In Bali, for example, the food is so amazingly healthy and fresh, and it may even inspire you to eat better back home. The point of this is to tell you, enjoy your vacation, take in the cultural cuisine but also be mindful of what you eat, nothing is worse than feeling awful on your vacation. I do not believe in “diets” or counting calories whether you are at home or on vacation, I believe in finding YOUR balance. There is a good chance, that when traveling, you will be on your feet a lot. You will hopefully be out exploring, seeing something new everyday. However, you may also travel somewhere to relax and unwind on a beautiful beach. Being active should be a lifestyle, something consistent. I also believe in balance when it comes to exercise. You do not have to have a heart thumping crazy workout everyday if that’s not your thing. Just do something that moves your body. I take the below bands with me so I can workout in my hotel room, if there is not a gym there. Go for a scenic run or find a local yoga class. If you change your mindset and stop looking at it as a chore, movement can become a part of your normal life. And yes, on your feet walking around all day does count 😊. Staying active also can help to flush bacteria from the body, reducing your risk of illness. Sleep is important to our overall wellbeing, it’s how our body can reset and restore. Traveling can really mess up your sleep pattern. If you are traveling to a different time zone then it can be a bit difficult to get adjusted, sometimes jet leg is worse going there and sometimes it is worse when you get home. 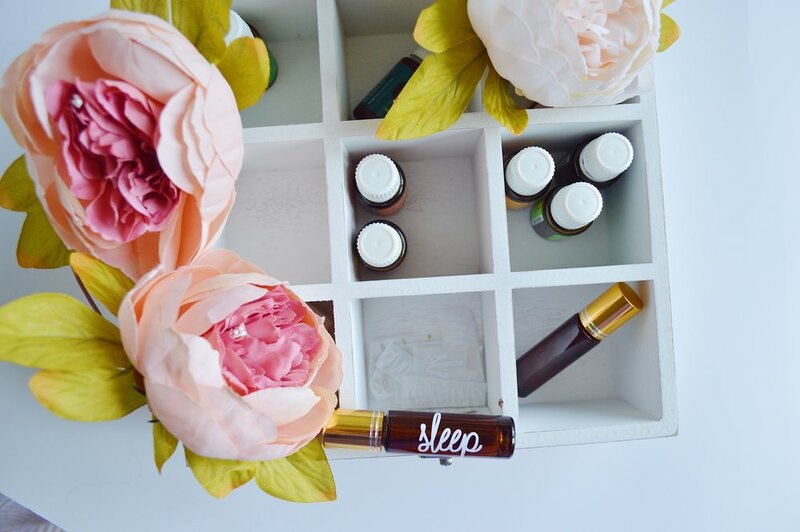 I talked about how using essential oils can help you get to a calmer state and even help with sleep. If this does not work you can also bring along some melatonin, like the gummies below. Have a blast on vacation, enjoy some nightlife but also let yourself get the needed sleep. Your travel will be much more enjoyable when you are rested. It gives you more energy to go out and see everything you want to, as well as be more focused during that time, to be in the moment. When you do not get good sleep it can also affect your immune system and increase your susceptibility to illness. Indulge in a little bit of self care and take a trip to the spa or anything that helps you unwind. This is the perfect thing to rejuvenate the mind, body and soul. I highly recommend also making this a cultural experience, by finding some local treatments you can indulge in, for a one of a kind experience. For example, when I was in Kerala, India we went to a local Ayurvedic spa. Travel is amazing, but it is not always easy and it an be very exhausting. This is one of the best ways to get a digital detox, relax and learn more about the culture all at the same time. Do a little search of what is a specialty in that country. China has healing hot springs, Bali has spiritual healing and countries may have spas that look like something your used to, but look for specialty services that are once in a lifetime to try. I understand the want to be go, go, go and see as much as possible, but I hope you can also see that it is ok to a day to take it easy and recharge. Massages and other treatments can also help push out unwanted build up in the muscles and lymphatic system to keep healthy. Maybe you see this step and think, what does this have to do with my health. Emotions, thoughts and feelings are a part of our mental health and can have a direct effect on the physical body and its functions. When traveling, especially to a culture so different then your own, I cannot stress enough the value of being open minded. If you want to know what you are getting into, do a little research first to understand the people or what differences you might run into. I have seen people in a foreign country be so negative and bothered by things they are not used to. Yes, it’s normal to have culture shock, but try to find the joy in the differences. If you are not looking at it with an open mind, it can ruin your experience. It can also cause distress on the body, such as headaches, the ability to sleep and weaken your immune system if you are consistently harboring negative emotion. Even if you do not agree with the a certain practice or way of life, the take away can be appreciation for how you live. It will create a happier and more pleasant you from the inside out. Travel insurance may not help you stay healthy, but it is a good precaution to take before travel. Many countries outside the U.S. also have much more affordable health care. If you do find yourself coming down with something, find a local pharmacy. You may be surprised that you can just walk in and get a lot of things over the counter for very cheap. I know this is for sure true in Asian countries. I also loved learning about the use of natural medicines, I would also ask for that first when available. Having travel insurance is not too expensive and if an issue does arise, then you know you are protected. 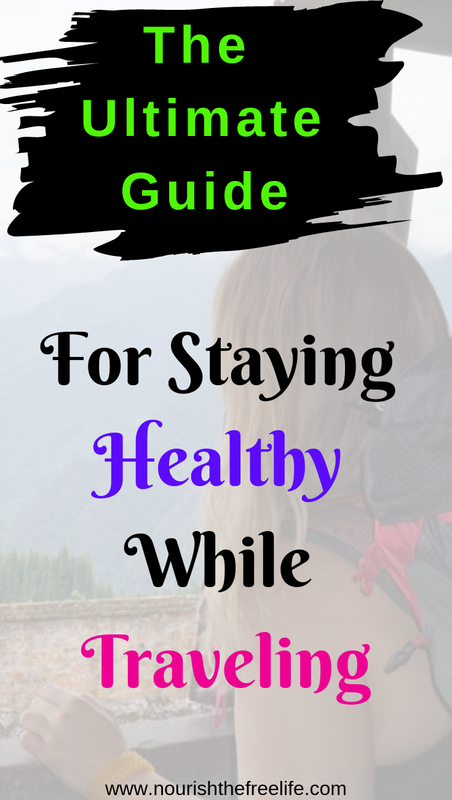 These are just twelve of many ways to keep yourself healthy while traveling. Of course, do not forget the basics like, washing your hands. Health is a part of our everyday lives. Maintain consistency no matter where you are in the world. Happy & healthy travels!